“This is an official story kept in the imperial records. A dozen years ago, near Brasia, a great tragedy occurred, a thousand or so imperial soldiers were reduced to ashes, the few survivors of the carnage, told a story about a monster appearing from nowhere in the night’s sky and burning everything to the ground. When asked to describe said monster, one of the soldiers died of heart attack only by trying to remember, the others, described a roc as big as a fortress, clad in an armour of fire and gold. “And who said they didn’t try? Three times the emperor sent knight’s teams to suppress the beast but they all disappeared without leaving traces, the most popular theory was that the knights got corrupted by the evil power of the beast, others said they just got swallowed up. Currently Elpis wasn’t in the best situation, after passing through the city of Brasia he somehow attracted the attention of the empire, probably some soldier recognized him from the battle in Labyrinthian. After being spotted, a crazy pursuit started between an imperial legion and him, even if he had recovered much, he still couldn’t fight 1000 men alone, while he was busy absorbing a soul, the other soldiers would kill him. Therefore, he wisely decided to run, but still, he could not brush off the imperial horses; they were excessively fast for Elpis to leave behind. A few dozen chasers had died while pursuing Elpis, he didn’t just run, every now and then he would launch a fireball or a water-blade, killing some, other had died by getting too close, he just needed a touch and they would fall to the ground, dead. Nevertheless, the soldiers’ weapon were not just for show, dozens arrows landed on Elpis, hadn’t the ark received the damage, he would be long dead, laid on the ground like a hedgehog. After 30 minutes of this, Elpis was seriously pondering if he should just surrender and when recovered attempt to escape, after all, if things kept going on like this, the ark would suffer huge damages. Before doing so, he tried his last card, he concentrated a big ball of fire in his hand, the ball kept growing up, when it was as big as an elephant, he launched it; To the people that didn’t knew the situation, the scene was beautiful. A dazzling fire comet rushing across the night’ sky while leaving a fire trail behind. Only the soldiers knew what the comet was; a signal for reinforcement. As if not wanting to disappoint the soldiers’ guess, the night’ silence was shattered by a thunderous roar, all the animals living in the forest upon hearing the roar fled the place terrified. Even the soldiers, with their iron will to die for the empire, upon hearing that roar felt fear in their hearts, nevertheless, they didn’t slowed down in the slightest, even their horses, understanding the will of their owners kept going on. At this moment, they all knew what was going to happen, and they accepted it, if it meant dying for the empire, they would happily walk toward their own demise. This wasn’t the result of torture or indoctrination, the imperial soldiers were all volunteers, they joined the army to defend their homes and families, and in the last two hundred years, the empire had been peaceful and prosper under the Raziel dynasty, so the loyalty to the crown was very high. In a matter of minutes after the roar, wings of fire were quickly approaching from the far-away sky, it was like watching a golden dawn, as fearsome as it was, it was also a magnificent sight, some soldiers even felt happy that their lives were going to be ended by something so beautiful. Another roar shook the air and made the earth tremble, the beast was almost upon them, behind it, the night was painted red by the fire and from every flap of his wings, waves of fire invested the earth, scorching the forest and the road. The beast was finally un them, like a comet, it crashed in the middle of the soldiers’ formation, from the impact point waves of fire erupted all around, the soldiers caught in the crash were already a hundred. The beast raised his head, it had a roc head, in place of his eyes, two burning embers and in his chest a little sun, he roared against the rest of the army. From his beak came a torrent of flame, he flapped his wings, more waves of fire invested the soldiers, stamped his feet, and pillars of magma erupted from the ground; if hell existed, it could only lower his head to that scene. Seconds, that’s how much time it took Phoenix to annihilate an human legion, as finishing blow, it started to rotate, creating a giant fire-vortex, from the sky meteorites started raining; it was overkill, but this was the first time Phoenix had showed her master her fighting potential. Elpis was watching the scene from a little distance, not even all the lives in the ark could save him from something like that, a new respect for phoenix emerged in his heart; he also felt proud, that was his creation, and even one of the first, who knows what other beasts he could create in the future? Ideas were emerging in his head, a giant version of Phoenix, a giant man completely made of ice, a tiger made of mist, a walking volcano. Some were stupid, others would require too many resources and energy… wait, I know of a place full of material! Labyrinthian, the city was literally covered in corpses, many people managed to escape, but at least two hundred-thousand met their demise. If he could use their corpses… who could stop him? The empire? Ha! Fools, they would all die under his feet, he needed 6 tons to create a giant roc and if he added a dozen spirit gems and a Fire spirit, he could create a Phoenix. His mind was planning an army, from the ashes of his city hundreds of phoenix would be born, and at that moment, the empire would fall. 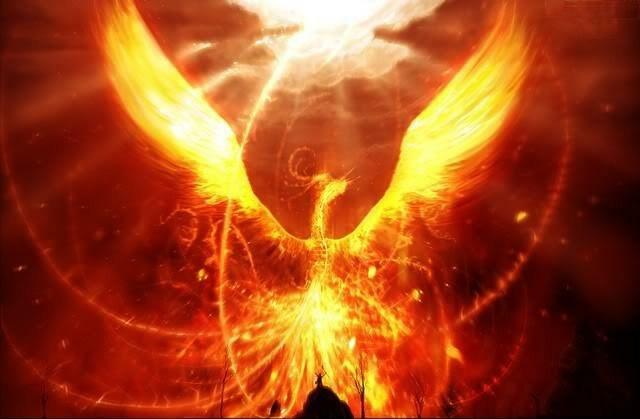 He suppressed for a second his thoughts, Phoenix had finished off the army, he rushed to the place where before a thousand soldiers wanted to take his life; only ashes remained. Phoenix was so tired it morphed back to Theresa, the little girl’s flames seemed somewhat dark, she was surely feeling the mana exhaustion. Elpis placed his hand on her head and patted her a little, since when he was young, he had never been good with children. Elpis immediately understood how dangerous that situation was, he had actually given a lustful spirit full permission to do what she wanted. If she was at least a grown up woman, okay, but she still had a kid body, for some reason he thought back to the young girl he had saved a few days ago.